Basecamp has a hip, industrious, go-getter vibe. For this logo I wanted to create something inspired by old school sports pendant design. This logo has the right mix of hip and sophisticated with the modern lockup and structured serif font. The elements on this badge are metaphorical: Basecamp guides their clients in telling stories and in the symbols in the logo are guidance tools such as maps and compasses while in the center sits a comfortable home base. In this logo the text is congruous with the mountain. It feels like no matter where the client is in their journey, Basecamp is there at every point to help along the way. The "M" of camp and media conjoin and create a symbol of a mountain. This is an innovative way to look at the logo structure for Basecamp. The rustic nature of the screen printed font and pine trees feel fresh but the font is structured enough so it will look professional and inviting to clients. Basecamp tells client stories about clients' struggles and achievements, the cascading ridges and woodcut feel represents that. 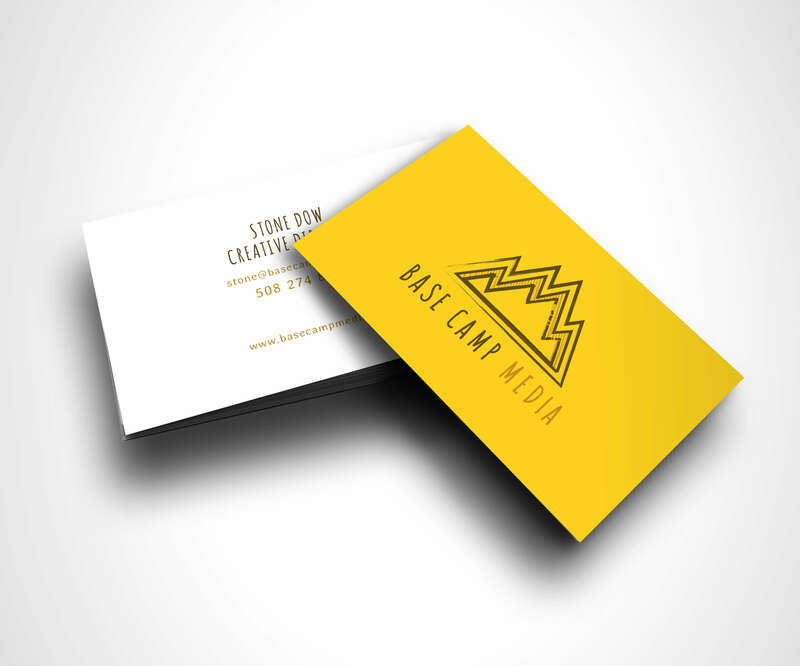 We also created business cards for the Base Camp team.